Czech Oppositionist from 1927, became a member of Trotsky's secretariat and guard in 1929. He was the only other witness besides Trotsky at the April 1937 hearings on the Moscow trials conducted by the Dewey Commission (see The Case of Leon Trotsky, Merit Publishers, 1969). Hungarian Socialist, a worker in the jewellery trade. Was living in France at the end of the 1860s and was one of the founders of the Lyons section of the First International and one of the leaders of the Paris Commune, in which he was made Minister of Labour. In this capacity Franckel appealed to Marx for advice in framing the laws for the protection of labour. After the fall of the Commune Franckel lived in London, where he was Corresponding Secretary for Hungary on the General Council; later he was active in the German and Hungarian workers' movement; after 1889 he returned to France; he was one of the founders of the Hungarian Social-Democratic Party. 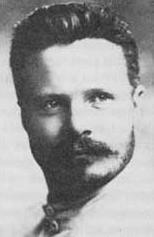 An engineer by training, Pierre Frank joined the Left Opposition in 1927 and was Trotsky's Secretary during Trotsky's exile on Prinkipo. He was a leader of the French secttion of the Left Opposition from 1930. After the Second World War he was a member of the Parti Communiste Internationale. His authoritative history of the Trotskyist movement: “The Fourth International: The Long March of the Trotskyists,” was first published in French in 1969 and in English by Intercontinental Press in 1972. Frank was a member of the United Secretariat of the Fourth International alongside Ernest Mandel and later of the LCR (Ligue Communiste Revolutionaire). Son of small industrialist in Vienna, officer cadet during 1909–13. Then at university, became doctor of philosophy, joined Socialist Students. Called up into army as lieutenant, discharged in 1916. Joint founder of Austrian Communist Party, settled in Berlin in 1920, collaborated on Die Internationale . In 1923 responsible for preparing uprising in Bavaria, arrested and escaped. Imprisoned during 1924–5, was journalist in 1929. Expelled in 1929, joined KPO, then SAP, then SPD (Sozialistische Partei Deutschlands, Social-Democratic Party) in 1933. Worked in illegality during 1933–8, then settled in USA, teaching psychology. Erector-mechanic in Berlin. In SPD (Sozialistische Partei Deutschlands, Social-Democratic Party) in 1898. Revolutionary delegate and organiser of Spartacus League during War. Agent of Liebknecht in October 1918. Member of Berlin workers’ and soldiers’ council. Played subordinate role in KPD (Kommunistischen Partei Deutschlands/German Communist Party) apparatus. Collaborated with Pieck. Arrested in 1933, released, emigrated to Britain, returned to East Germany in 1946, joined SED. German mathematician and logician, who founded modern mathematical logic, working on the borderline between philosophy and mathematics, in the foundations of mathematics and mathematical logic; though he wrote little which is readable to the non-mathematician, his achievements in mathematical logic were startling and extremely influential; unable to complete the Logicist project, he ended his life with a feeling of having failed, despite the revolution he wrought in his chosen field. Frege entered the University of Jena in 1869 and then went to the University of Göttingen to study mathematics, physics, chemistry, and philosophy, subsequently spending the remainder of his working life teaching all branches of mathematics at Jena. He kept aloof from his students and even more aloof from his colleagues. Frege was a Lutheran and a political reactionary. He loved the Kaiser, and during World War I developed an intense hatred of socialism, democracy, the French, Catholics and Jews. Convinced of his own genius, he became increasingly bitter at his lack of recognition, a fact which resulted from the novelty of his mathematical ideas. Frege published his Begriffsschrift (“Concept-script”) in 1879, presenting for the first time, a system of mathematical logic in the modern sense. No one, however, comprehended what Frege had done, and when, some decades later, the subject began to get under way, he was not given credit for those of his ideas which had been adopted by others. Bertrand Russell was the only mathematician to give him credit during his lifetime. Frege's work represents the beginning of modern logic because of his invention of the notation of quantifiers and variables ("For every x" or "For some x."). By means of this notation he solved problems that had always baffled logicians . In him there also appeared the first clear distinction between the formal characterisation of logical laws and their semantic justification. Recognising that the Begriffsschrift, was full of unfamiliar symbolism which no-one understood, he resolved that his next book would be written without the use of symbols at all. The Foundations of Arithmetic (1884) was a masterpiece of philosophical writing, but the only review that the book received, was a hostile review by Georg Cantor. Frege devoted the next decade to a series of articles elaborating the philosophy of Logicism, but his work continued to be largely ignored and occasionally belittled. While volume 2 of his Basic Laws of Arithmetic was at the printer's, he received a letter from Bertrand Russell pointing out that the system of axioms could lead to a contradiction. The two exchanged many letters; and, before the book was published, Frege had devised a modification of one of his axioms to restore consistency to the system. But after Frege's death in 1925, it was discovered that the modified system still led to contradiction and still later it emerged that many of the proofs of Volume 1 were flawed. It is generally presumed that Frege himself must have realised this during his efforts to restore the system to consistency. 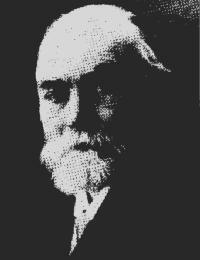 After 1903, Frege took no further part in the development of mathematical logic. At the very end of his life, he again started to work on the philosophy of mathematics, having concluded that the attempt to found mathematics on logic was mistaken, but the work was never completed. Frege's philosophy, known as Logicism, asserts all of mathematics to be derivable from logic without the use of any specifically mathematical concepts. Bertrand Russell and Alan Whitehead attempted to complete this project, which was finally abandoned with the discovery of Gödel's theorem. Wittgenstein, who visited Frege in 1914, attempted to continue Frege's project in an attempt to develop an "ideal language" modelled on Frege's mathematical logic, excluding as meaningless what could not be expressed "logically" in this way. Further Reading: See Ernst Kolman and Sonya Yanovskaya's Hegel & Mathematics and Value & Quantity. German romantic poet and member of the Communist League. His first volume of poetry was so well received that the King of Prussia awarded him a pension in 1842. But his next set of poems were forbidden and he turned revolutionary (radical bourgeoisie). Emigrated to Brussels and made acquaintances with Marx. Then moved to Zurich. After an intermediate stay in London, in 1848 he returned to Germany and (while remaining what he termed an "emotional socialist") became the most important poet of the bourgeois revolution. His poem The Dead to the Living (along with many others published in the Neue Rheinische Zeitung) resulted in his arrest. Editor of the Neue Rheinische Zeitung, 1848-49. In the 1850s he withdrew from the League. Emigrated to London in 1851, then back to Germany in 1868. In 1871, he wrote enthusiastic poems on victory but declined all official honours from the new German Empire. Austrian psychologist; founder of psychoanalysis who made a systematic study of the Unconscious and introduced many key concepts still used in modern psychology. For all its faults, Freud’s theory was the first materialist theory of the psyche; like his contemporary Pavlov, Freud was a philosophical materialist of the old school, and between them they mark a watershed between the psychology of the 19th and that of the 20th centuries. While Freud was careful not to claim expertise outside his own area of work, his followers have freely applied his concepts to history and society in a way that Freud would not have supported. Freud's father was a Jewish merchant who had been married once before and was 40 years old when Freud was born, a relatively remote and authoritarian figure. In 1860 the family moved to Vienna, where Freud remained until the Nazi invasion in 1939. In 1873, Freud entered the University of Vienna to study medicine, where he worked with Ernst von Brücke, an exponent of Hermann von Helmholtz's anti-vitalism. In 1882, he entered the General Hospital in Vienna to train in psychiatry, and was appointed lecturer in neuropathology. It was during this period that Freud advocated the use of cocaine, leading to a close friend becoming addicted, and this episode left somewhat of a cloud over his reputation for a time. In 1885, Freud went to Paris, to work under Jean-Martin Charcot who was using hypnosis to cure patients suffering from paralysis. The idea of treating apparently physiological disorders by treating the mind, ran directly counter to the dominant positivistic spirit of the science of the day. Freud never succeeded in mastering the art of hypnosis, and this obliged him to develop an alternative method of working on the mind. Nevertheless, Freud now had the key idea which was to determine his future work, and returned to Vienna after a very short stay in Paris. It was the physician Josef Breuer, who had cured an hysterical patient by simply encouraging her to talk about her problem, who provided Freud with a line of research, and 10 years later he published a joint paper with Breuer on the use of free association as a technique for uncovering the roots of psychosis. The key insight to which the work with free association led Freud was that there was something called the “Unconscious” (not a concept that Freud invented, but he was the first to systematically investigate it and develop a definite conception of the structure of the psyche), but for whatever reason the content of this Unconscious mind was repressed and hidden from consciousness; however, from time to time people would make a “slip of the tongue” or in one way or another say something from which the contents of the Unconscious could be inferred. The point then was to develop ways of bringing these unconscious thoughts to light so that the patient themselves could deal with them. In the course of this study – to which he gave the name ‘Psychoanalysis’ in 1896 – Freud formed the view that the principal content of this unconscious was sexual, even though the patients did not directly articulate this. For example, a recollection of sexual contact with an adult in their childhood, Freud took to be evidence of sexuality on the part of the child, expressed in the form of fantasy. Freud's early work concentrated on female hysteria, but in order to formulate a general theory of the mind, Freud had to broaden his work to study the psyche of the normal male. 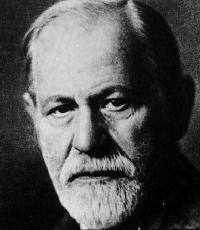 Freud began by studying the one psyche to which he had direct access – his own. However, the psychoanalytic movement he began reserved the privilege of self-analysis for its founder alone; every psychoanalyst is inducted into the profession by being psychoanalysed by a psychoanalyst, thus joining a genealogy linking back to Sigmund Freud's original self-analysis. In The Interpretation of Dreams, he interspersed evidence from his own dreams with evidence from those recounted in his clinical practice. Freud saw dreams as essentially a form of wish fulfilment, in which the real meaning of the unconscious is “coded” in the form of images taken from everyday experience, and regarded dreams as the “royal road to the unconscious”. Centred on the concept of repression of sexual desire, Freud developed explanations for hysteria, obsessive compulsions, paranoia, and narcissism. However, it should be noted that a considerable part of Freud's achievement is easily separable from his conviction that sexual frustration lay at the root of all these disorders. Although Freud's theories scandalised the sexually repressed Vienna of his day, they attracted wide interest across Europe, and in 1902 Freud's so-called Psychological Wednesday Circle began to gather, including Alfred Adler and Wilhelm Stekel and Carl Jung among participants. In 1908, the group was renamed the Vienna Psychoanalytic Society which grew to become an international organisation, but the Society was always marked by sharp splits between its founder and others who grew to rival him, such as Alfred Adler who Freud broke with in 1911, followed by breaks with Stekel, Jung and Wilhelm Reich. Freud constructed a very elaborate “topology” for the Mind, including the division of the psyche into the Unconscious, Preconscious, and Conscious and structural components called the Id, the Ego, and the Superego. See his Lecture The Anatomy of the Mental Personality for an outline. For a sketch of his ideas on science and knowledge see Weltanschauung. In 1914, Freud revised his theory to include an innate drive to end life's inevitable tensions, called the Nirvana principle with the drive underlying it called the Death Instinct, and the contrary drive, the Life Instinct, or Eros. Further Reading: See the Sigmund Freud Archive, including two the twelve lectures from New Introductory Lectures on Psycho-analysis (1933). Founder of the Austrian CP who was expelled in 1927, was a leader of one of the Austrian Left Opposition groups. American feminist writer, psychologist and social researcher. Friedan was a student of the founder of Gestalt Psychology, Kurt Koffka holding a fellowship at the University of California in Berkeley and assisted in early studies of group dynamics at the University of Iowa. Her 1963 Feminine Mystique, which exposed the desparate position of housewives in 1950s USA who had achieved the “American Dream”, and were imprisoned in their automated suburban homes with little to do but visit the hairdresser in order to look her best when hubby came home, marked the beginning of the women's movement in the U.S.
She is the founder of the Community Resources Pool, a collective of artists, politicians and social workers who work with gifted children in the public school system in New York. American economist, founder of Monetarism, professor at the University of Chicago, and one of the leading conservative economists in the second half of the 20th-century. 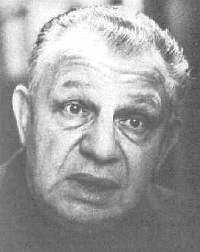 After studying at Rutgers University and the University of Chicago, Friedman received his Ph.D. from Columbia University in 1946 and joined the University of Chicago, home of the famous Chicago School of right-wing political economists. Friedman became the leading advocate of Monetarist economics, which holds that the business cycle is determined primarily by money supply and interest rates, rather than by a government's fiscal policy. Friesland, Ernst (known as Reuter, 1889–1953) . Son of merchant marine officer, Social Democrat, dismissed as teacher for political activity. Organised pacifist league in 1914. Conscripted in 1915, prisoner of war in Russia in 1916, formed prisoners’ committee in 1917, became Communist in German section of Bolshevik Party and met Lenin. Commissar of Volga Germans in 1918, returned secretly to Germany with Radek and Felix Wolf in December, took pseudonym of Reuter. Secretary in Upper Silesia, then in Berlin-Brandenburg after Heidelberg split. Co-led KPD(S) Left during 1920–1. Won by Lenin to support Moscow Compromise, he defended it at Jena, and became General Secretary. Moved in a few weeks towards positions of his former opponent Levi, organised right opposition, expelled in January 1922. Rejoined SPD (Sozialistische Partei Deutschlands, Social-Democratic Party) directly in 1922. Emigrated to Turkey, then to Scandinavia. Returned to Germany after 1945, member of SPD (Sozialistische Partei Deutschlands, Social-Democratic Party) from 1948 to his death, Mayor of West Berlin during Cold War. Frölich, Paul (alias Paul Werner, 1884–1953) . Second of 11 children in workers’ family. Technical commercial studies, worked as office worker in commerce. Self-educated and studied at SPD (Sozialistische Partei Deutschlands, Social-Democratic Party) schools, joined SPD (Sozialistische Partei Deutschlands, Social-Democratic Party) in 1902. Journalist from 1908 in Altona, from 1910 in Hamburg, associated with Bremen militants, Knief, Radek and Pannekoek. In 1914 journalist on Bremen Bürgerzeitung . Conscripted as non-commissioned officer and discharged in 1916, joint founder of Arbeiterpolitik, delegate at Kienthal, member of Zimmerwald Left, close to Lenin, recalled into army at end of 1916. In summer 1918 was arrested for anti-militarist activity and interned in psychiatric hospital, liberated by November Revolution. Leader of IKD, spokesman for leftists at KPD(S) Foundation Congress, and elected to Zentrale. Took part in Bavarian Revolution and spent some time in clandestinity. Re-elected to Zentrale, criticised Levi’s passivity in 1920, in 1921 became a defender of ‘theory of the offensive’. Secretary of Zentrale in 1921–2. Deputy from 1921. Supported Brandler in 1923. Teacher in KPD (Kommunistischen Partei Deutschlands/German Communist Party) school until 1928, then expelled as right- winger. Joint founder of KPO. Left it for SAP. Arrested in 1933, released after nine months in concentration camp, succeeded in emigrating to Czechoslovakia, then Belgium and France. Interned in 1939, got visa for USA, lived there until 1950, returned to West Germany and joined SPD. German-born U.S. psychoanalyst and social philosopher who explored the interaction between psychology and society. By applying Freudian principles to the social problems, Fromm hoped to show the way to a psychologically balanced "sane society." After receiving his Ph.D. from the University of Heidelberg in 1922, Fromm trained in psychoanalysis at the University of Munich and at the Psycho-Analytic Institute of Berlin. He began practicing psychoanalysis as a disciple of Sigmund Freud but soon took issue with Freud's preoccupation with unconscious drives and consequent neglect of the role of societal factors in human psychology. Fromm had already attained a distinguished reputation as a psychoanalyst when he left Nazi Germany in 1933 for the United States, where he came into conflict with orthodox Freudian psychoanalytic circles. From 1934 to 1941, Fromm was on the faculty of Columbia University, where his views became increasingly controversial. In 1941, he went to Bennington College, Vermont, and in 1951 was appointed Professor of Psychoanalysis at the National Autonomous University of Mexico, Mexico City. In 1962, he returned to the US to take up the position of Professor of Psychiatry at New York University. In his early work in Germany, Fromm argued that an understanding of the psychological needs of human beings was essential in order to build a healthy society, and he put these ideas forward in sveeral books and articles on the development of Christianity. In Fromm's first major work, Escape from Freedom (1941), he charted the growth of human freedom and self-awareness from the Middle Ages to modern times and, using psychoanalytic techniques, analysed the tendency of modern emancipated man to take refuge from his new insecurities by turning to totalitarian movements such as Nazism. See Fear of Freedom, from the same period. In The Sane Society (1955), Fromm presented his argument that modern man has become alienated and estranged from himself within consumer-oriented industrial society and called for a rebirth of enlightenment to allow each person to fulfil his individual needs while maintaining bonds of social fraternity. Mikhail Frunze, the son of a peasant, was born in Turkestan in 1885. After studying at his local school he continued his education at the Gymnasium at Verny and the Polytechnical Institute in St. Petersburg. As a student Frunze joined the Social Democratic Party where he supported the Bolshevik faction. In November, 1904, he was arrested during a political demonstration and expelled from St. Petersburg. Frunze joined the Bolsheviks after the split with the Mensheviks and Frunze went to Inanovo-Voznesensk where he was one of the leaders of the 1905 Textile Workers Strike. Later that year he was arrested during the Moscow Uprising. Sentenced to death, he was reprieved and it was changed to ten years hard labour. He served his sentence in Vladimir, Nikolaev and Alexandrov in Siberia. In 1915 Frunze managed to escape from Siberia and reached Chita where he edited the Bolshevik weekly, Vostochnoe Obozrenie. During the February 1917 Revolution Frunze led the Bolsheviks in Minsk and became chief of the city's civilian militia before being elected President of the Byelorussian Soviet. Frunze went to Moscow during the October Revolution and led a 2,000 strong force of workers and soldiers in the Bolshevik struggle for the city. In 1918 Frunze became Military Commissar for the Voznesensk Province. During the early days of the Civil War, Frunze was appointed as head of the Southern Army Group. After defeating Alexander Kolchak and the White Army in Omsk, Leon Trotsky gave him command of the whole of the Eastern Front. Frunze went on to clear Turkestan of anti-Bolshevik forces. In November, 1920, Frunze led troops that captured the Crimea and managed to force General Peter Wrangel and his troops from Russia. He also crushed the rebellion led by Nestor Makhno in the Ukraine. In 1921 Frunze was elected to the Central Committee and in January, 1925, became the Chairman of the Revolutionary Military Council. As a close supporter of Gregory Zinoviev, this brought him into conflict with Joseph Stalin. Mikhail Frunze died during an operation for stomach ulcers on 31st October, 1925. Some historians have argued that Stalin was involved in arranging Frunze's death. Frunze was a man of serious disposition; as a result of his prison years, he had more authority in the Party than the fresh young Sklyansky. Moreover, during the war Frunze demonstrated undeniable qualities as a war captain. After the Yaroslav rebellion, Frunze was appointed Commissar for the Yaroslav Military District. From there he was transferred to the Urals Front and under his command the Southern Army Group of the Eastern Front inflicted a decisive defeat on Kolchak's troops. Following this, he was put in charge of the whole Eastern Front and directed the operations to sweep the Whites out of Turkestan. During the revolution in Bukhara in August which overthrew the Emir's forces out of the Bukharan Republic with detachments of the Red Army. In September 1920 he ordered an offensive against Wrangel on the Southern Front. After the seizure of the Crimea and the elimination of Wrangel's forces, he became commander of all troops in the Crimea and the Ukraine, and the representative of the Revolutionary Military Council there. Under his leadership the Petlyura and Makhno rebellions were crushed. At the tenth Congress in 1921, Frunze was elected to the Central Committee. It was no doubt then that he allied himself with Zinoviev imposed him in Skylyansky's place, and then in Trotsky's in January 1925, as Commissar for War. The collapse of the Troika made Frunze's presence in this position extremely awkward for Stalin. Frunze had formerly suffered from stomach ulcers. The Central Committee doctors, on orders from Stalin, insisted that he should be operated on; Frunze's doctors were opposed to it, for they were certain that his heart would not stand up to the chloroform. The Central Committee doctors had their way, and Frunze died on the operating table on 31st October 1925.